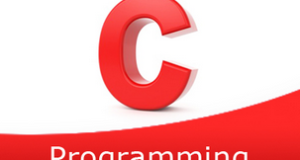 C program to count the occurrences of a word in a given string – In this article, we will brief in on the multiple methods to count the occurrences of a word in a given string in C programming. Firstly, as given in the image above, you need to enter the string that you want to. Then, stipulate the world that you want to search in the string. The word “hello” occurs thrice in the whole string. Read the entered string and store the string in the variable ‘s’ using the function gets(s). 2) Read the entered word to be searched, store the word in the variable ‘w’ using gets(w) function. 3) The first for loop iterates through the string and place the locations of the white space of the string in the integer string a.
a) Initialize n=index of the whitespace a[i]-j.
b) if n=length of the word then assign t=0 and compare the elements of the word with the elements of the string as s[l+j]==w[l] by increasing l value till the last element of the word. If the element matched then increase the t value. If t=length of the word then increase the found value. Found indicates the number of occurrences of the word. c) Initialize j=a[i]+1 to find the next occurrence of the word. 5) Print the total occurrences of the word in the string is the value of found. The main() calls the check(char *s, char *w) function to find the total number of occurrences of the word in the string. a) The first for loop iterates through the string and stores the index values of the white spaces of the string in the integer array a.
b) j=0,the 2nd for loop iterates through the white spaces of the string with the structure for(i=0;i<k;i++) and initialize n=index of the whitespace a[i]-j.
b.1) If n=length of the word then compare s[l+j] with w[l] using for loop for(l=0;w[l];l++). If they matched then increase the t value. b.2) If t=length of the word then increase the found value. i.e for each occurrence of the word the found value will be increased. The function returns the found value. Then the main() prints the found value i.e the total number of occurrences of the word in the string.